In the Element ID text box enter the value for the id attribute. It will uniquely identify the element (table row) in page. 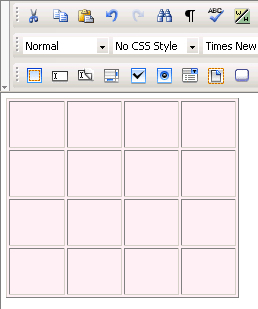 If the No Wrap option is checked, each paragraph in the current row will be displayed on a single line. 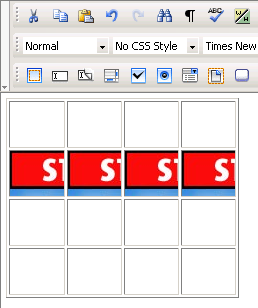 If the Header option is checked, the content from the current row will be formatted as bold and centered (header style). Note: It is your task to make sure the image has appropriate dimensions, as automatic resizing of the image to the row's dimensions will not take place. 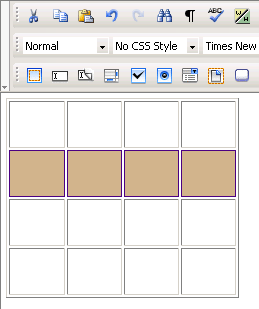 With the Brdr Color text box you can set the desired border color for the selected row. You can enter the hexadecimal code of the color in the text box or you can click the Color Picker button. Note: Each cell of the selected row is bordered in that color, and not only the table row (seen as a larger cell).